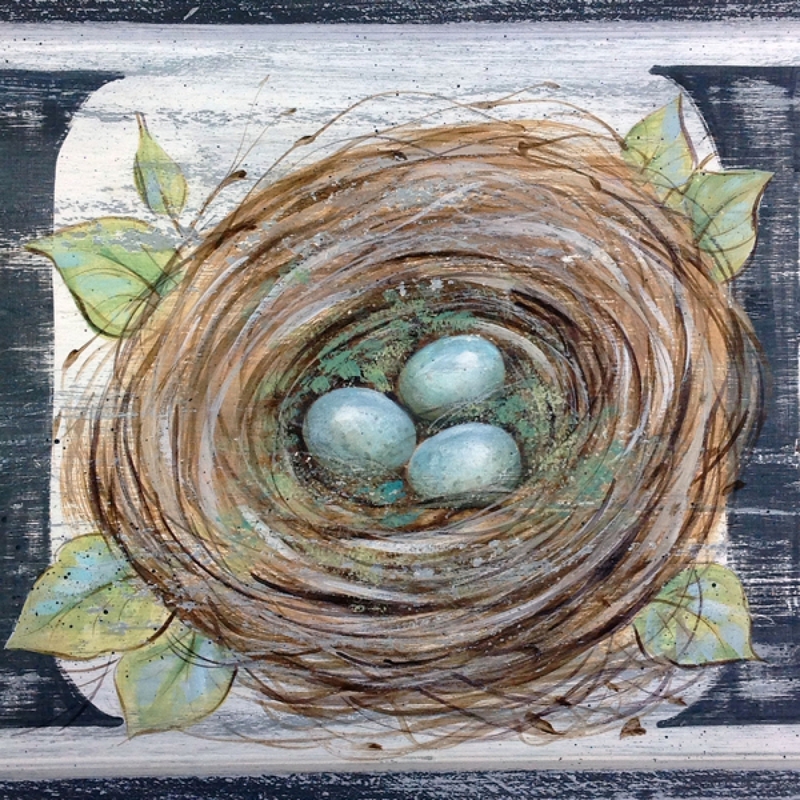 "Hope is that thing with wings that perches in the soul that sings the song without words and never stops at all" (Edna St. Vincent Millay) The eternal message of HOPE combined with the image of an egg-filled nest expresses our anticipation of warmer days and a bright future. Spring never fails to return! The Long Sign Board (size: 6 in. x 20 in.) Item #0329 is available from JB Wood.com. DecoArt Americana acrylic paints and DecoArt Decor Chalky Finish paints are listed. Pattern packet features full-color, laser printed step-by-step instructions for completing the project.